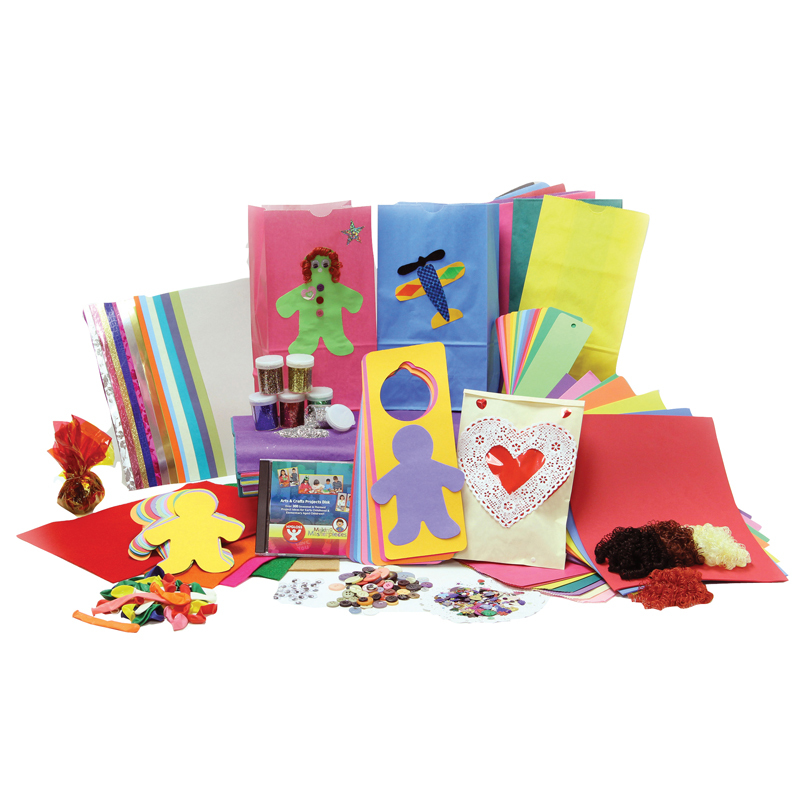 The Big Box of Art Materials™ contains so many unique art products that an entire class can create many wonderful and interesting projects. Throughout this guide, you will find ways to use one or several products together to create fun project activities! 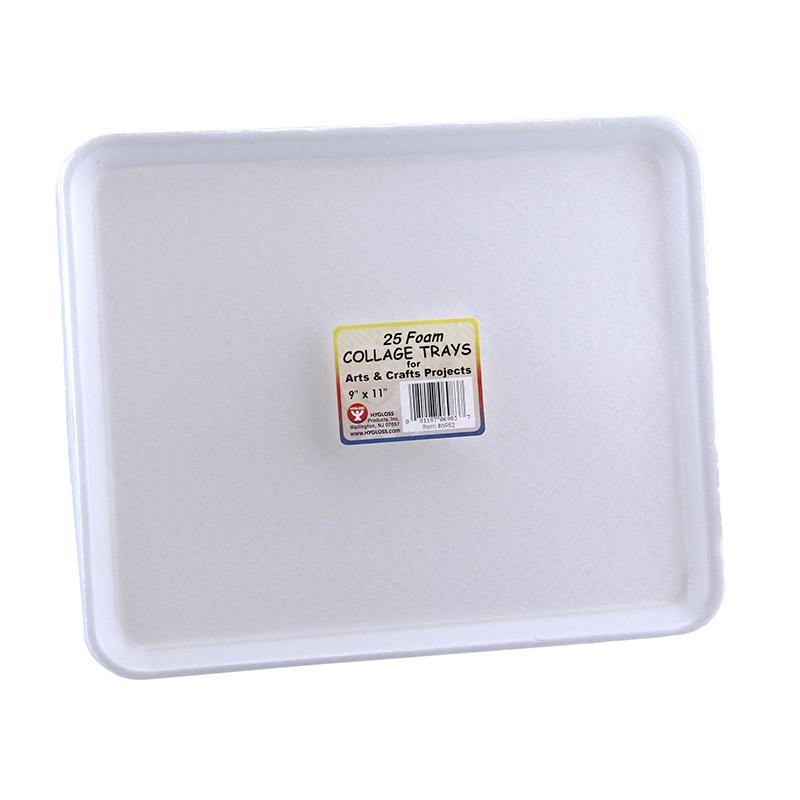 Once you've tried the ideas that we've suggested, create some of your own! 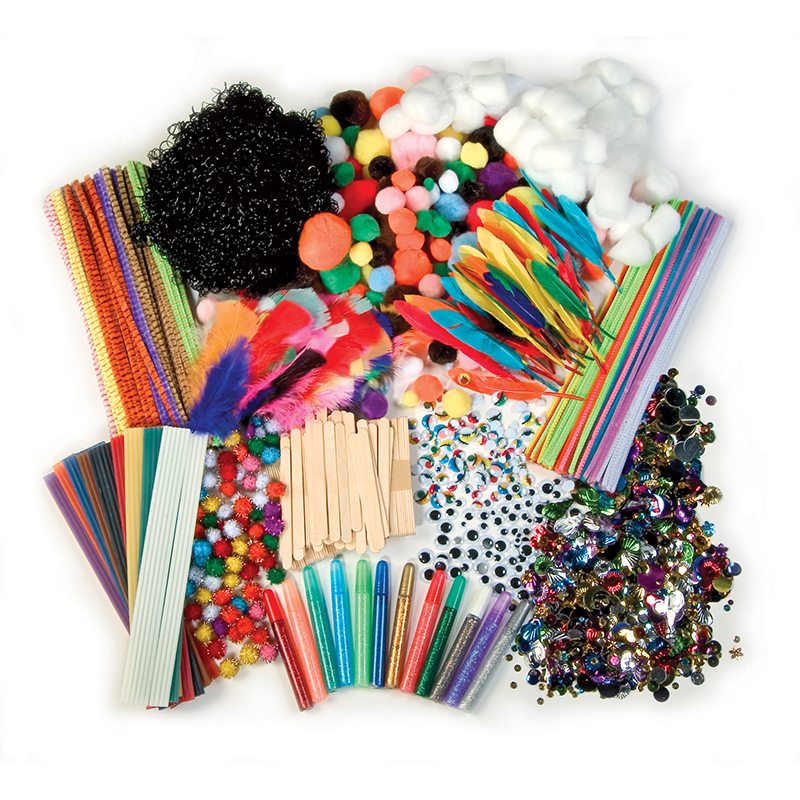 With these supplies and your imagination, the possibilities are endless! Contents include: Colored Craft Sticks, Parquetry Collage Shapes, Art-a-Roni®, Mini Picture Frames, Collage Disks, Magnetic Strips, Painting Sponges, Peel & Stick Stickers, Felt Shapes, Wood Shapes, Bright Buttons, Shredded Tissue, Mosaic Squares, Multi-Color Felt Sheets, Plastic Beads, Color, Cut & Fold Paper, Plastic Thread, Stained Glass Paper, Leather, Amazing Animal Paper, Craft Yarn, Fabulous Fabric Paper, Burlap, Metallic Paper, Foam Shapes, and Bug Paper. 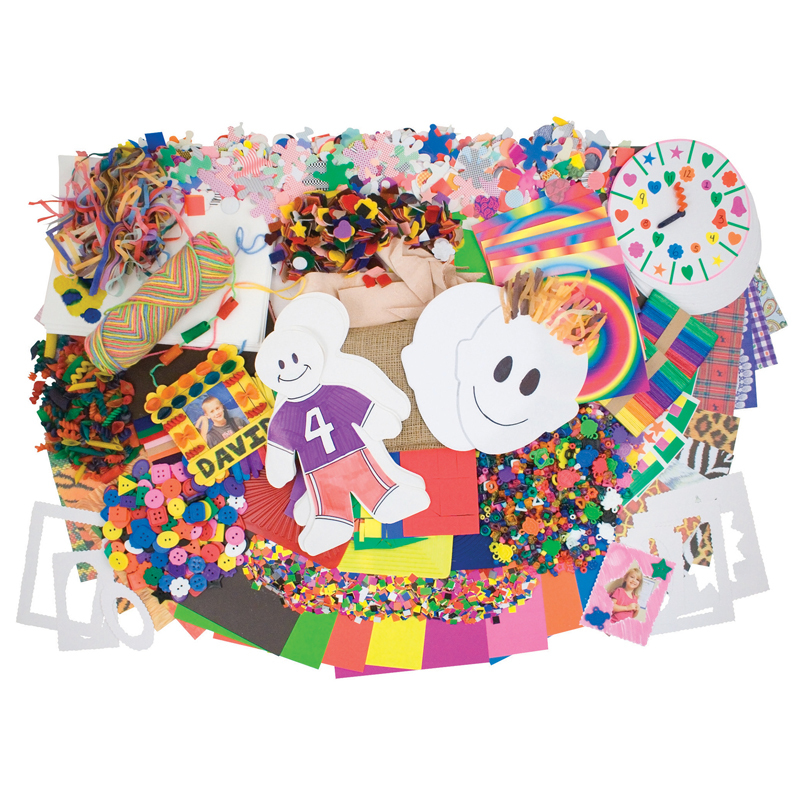 The Classroom Collage Kit can be found in our Art & Craft Kits product category within the Arts & Crafts.